Currently exhibiting at Sydney’s Powerhouse Museum is Interface: People, Machines, Design. Inside the exhibit is a reference to “democratic design”, and the centrepiece object there is a Volksempfänger VE 301W radio, designed in Germany in 1933. It’s the People’s Receiver. The brief from the Minister for Propaganda to manufacturers was simple: create a radio that was as affordable as possible. The VE 301 sold for 76 Reichsmark (typically two weeks salary), about half the price of a typical radio at the time. 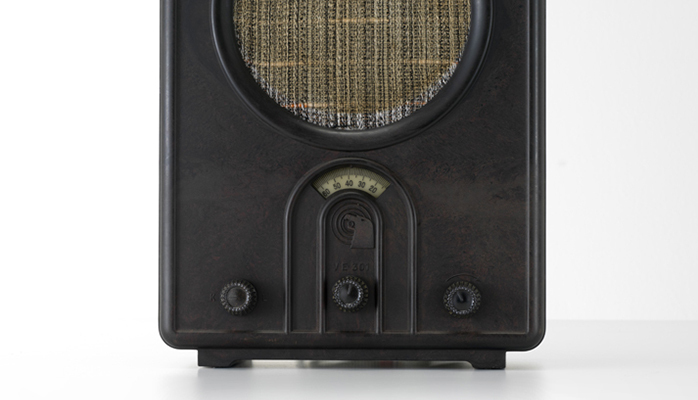 In 1938, the Deutscher Kleinempfänger DKE 38 sold for 35 Reichsmark, the cheapest radio in the world. Over nine million radios were produced between 1933 and 1939. All well and good so far. Accessibility and affordability are key democratic principles. I define democracy more broadly than just a voting system or a system of government. To me, a democracy exists where all individuals can confidently participate in the actions of a group, whether they vote or not. Technology increases power; without open access to technology, immense power imbalances emerge. But power imbalances—economists might call them information asymmetries—are the grand aim of propaganda, so what happened next? Since only German stations were considered of interest (and they were nationalised in 1932), and since cost-cutting was the brief, the Volksempfänger was designed to have weak sensitivity and only German and Austrian stations were marked on the dial. The disempowerment of German citizens relative to the authorities and other Europeans was a key enabler of anti-democracy. During the war, many radio owners attached external antennas for greater sensitivity, eager to listen to distant stations such as the BBC. In response, German authorities then made listening to foreign stations a criminal offence. And here’s the best bit: new radios were manufactured with a warning attached to the tuning knob, stating that foreign listening was punishable by prison and hard labour. Surely, that little feature must rate as the least user-friendly in design history. Communication is power, and providing access to communication is one of the key design problems of human development.